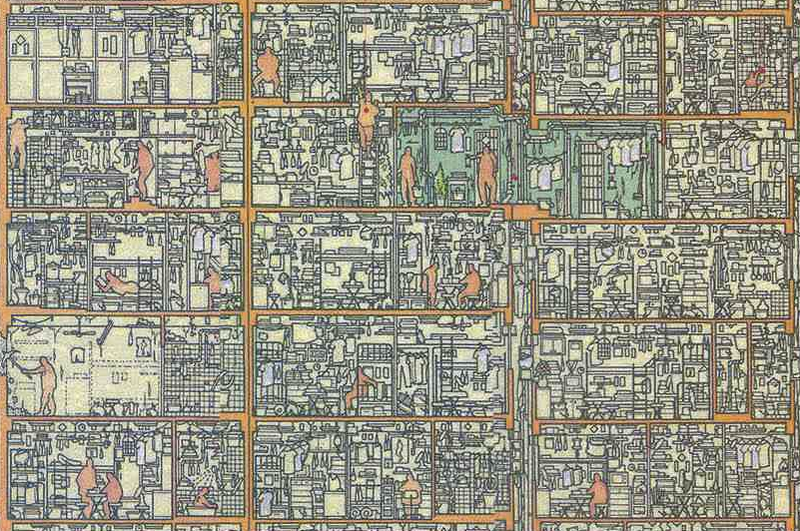 In 1993 Kowloon Walled City, once thought to be the most densely populated place on earth, was demolished. The high-rise ghetto known as the “brothel of the East”, was a labyrinth of dark corridors, interconnected dwellings and informal housing. Prior to demolition a team of inspectors, engineers, and cultural anthropologist Hiroaki Kani, spent a considerable time surveying the city documenting every nook and cranny. 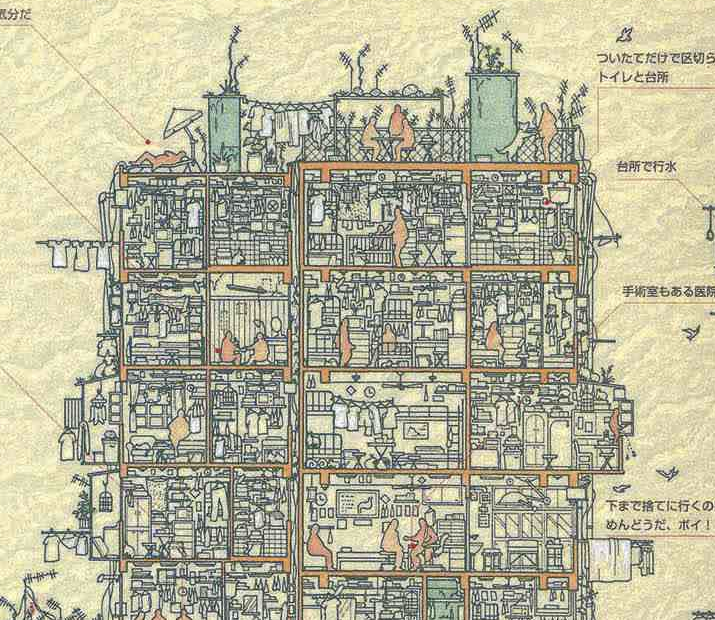 In 1997 Iwanami Shoten and Kowloon City Exploration Team published their findings in “大図解九龍城 大型本“. 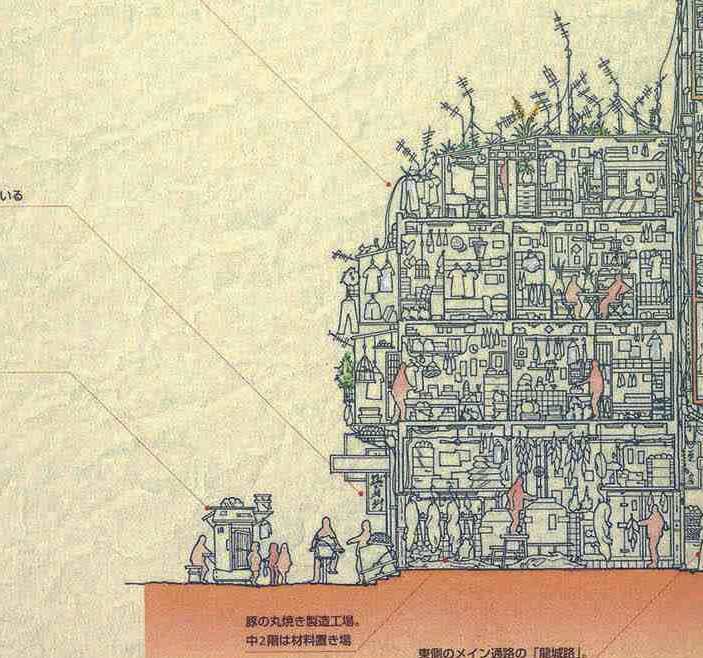 It’s pièce de résistance being an amazing cross-section panorama of the ultra-high-density space. Explore the sketch in 4716 x 1754 detail.